David Owino “Calabar” has finally put pen to paper with Zambian side Zesco United after having passed the club’s medical exam. The move ends months of speculation about his future. “Calabar” joined Gor Mahia in December of 2011. He has played for the club for three seasons. In those seasons, Gor Mahia won the league twice and finished second once. His contribution to the club’s success during these years cannot be gainsaid. He has been the most consistent defender not just at the club but in the Kenya Premier League, able to slot in at either right back, left back or central defence. His solid play saw him earn KPL defender of the year honours twice in a row. It also enabled him to be a permanent fixture for the national team where he extended his solid play. His defining moment came during a national team encounter with the Nigeria Super Eagles where he bottled Victor Moses who at the time was playing for Chelsea in the English premier league. Though the match is mostly remembered for the memorable free-kick that Francis Kahata struck. It is also remembered for the marking job that David Owino executed on Victor Moses. It had shades of the marking job that Austin Oduor executed on the Liberian George Weah in 1989. Weah was the best striker in Africa at the time and would later become European player of the year. That match earned Owino the nickname “Calabar” a reference to the fact that the Kenya-Nigeria match was played in the town of Calabar. Prior to that he had been nicknamed “Jashirati” in reference to the famous Tanzanian musician Daniel Owino Misiani who is from Shirati village in Northern Tanzania. His solid marking has been evident in every match he played. But also evident were his brilliant forays upfront that saw him score crucial goals for both club and national team. None was more important than the equalizing goal that he scored against AFC Leopards in 2013 as Gor Mahia marched towards their first title in 18 years with AFC breathing down their neck. A loss to AFC would have been devastating. Calabar saved the day. At national team level, he enchanted Harambee stars fans with his menacing forays on the wings. He also scored several superb goals. The most memorable was the goal against South Sudan in the 2013 CECAFA cup in which Calabar made a mazy run on the left flanking before finishing with aplomb. He also scored the winning goal as Kenya fought gamely to beat Namibia 1-0. Suffice to say that his solid play has been instrumental in enabling Gor Mahia to win two titles. Also important has been his leadership, hard work and self discipline which served a s good example to other players and saw him voted as Vice Captain. Looking back at other right full backs, who have played for the club, Calabar ranks right up there with the best. Paul Oduwo “Cobra” was famous for his tireless runs up and down the flank and his robust tackles. Zedekiah Otieno “Zico” also made several runs upfront and was a brilliant crosser. Tobias Ocholla was famous for his tight marking and long throws. Swaleh Ochieng was a solid tackler and marker with out of this world fitness and discipline. Peter Otieno “Bassanga” was a leader of men and was elected captain within 2 years of joining the team. Owino “calabar” appears to have many of these attributes. Owino Calabar started at the youth team of Nakuru All Stars Academy in 2004 which was then called St. Josephs academy. At the time he was nicknamed “Angoloma” in reference to the big French central defender Jocelyn Angoloma. Owino played for Nakuru All Stars senior side until 2008 then moved to Karuturi sports club. In 2011 when he signed for Gor Mahia. His move to Gor Mahia was not successful at first as he found himself warming the bench as Croatian Coach Zdravko Logarusic cited his lack of height as a reason for not fielding him more often. 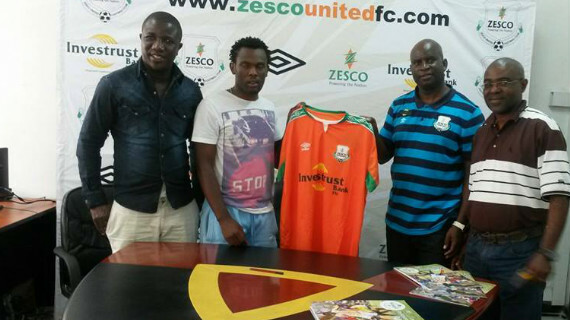 Owino “Calabar” said he was happy to finally join Zesco. “I am happy to join Zesco United, I know it’s a result oriented team, am from Gor Mahia that has the same stance and both teams are champions. 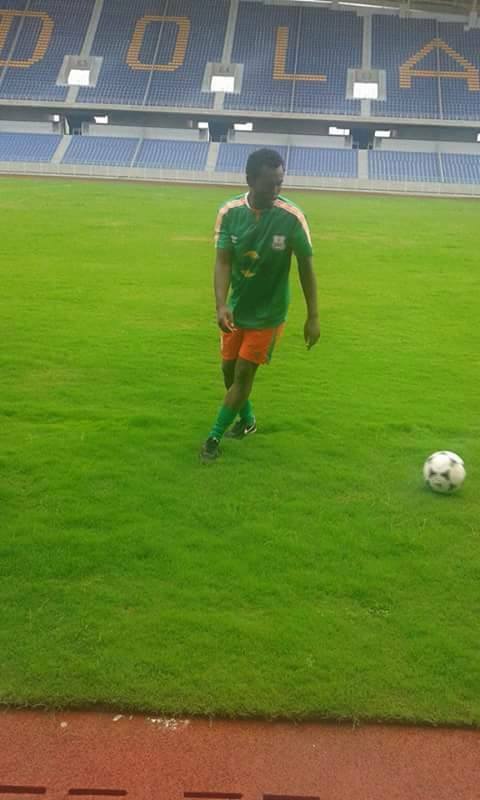 I love to play for champions because I believe a team attains the status of champions because of hard work,” he said to the Zesco website. This column would like to thank Calabar for three solid seasons and wish him the best in future endeavors. He will always be welcome back at Kogalo in the future. ALL THE BEST KING DAVID WILL MIS U BUT THAT GIVES ANOTHER PLAYER CHANCE,THERE4 KAZI KWENU EMUNGE,GLAY,LAST BORN SHAKAVA. Besz wishes Calabar. It’s important you improve on your life by msking uee of xour talent. on another not let’s vote for our beloved team using #279#. We have the numbers to make it to the top. Else we will be left lamenting that the results were rigged. Let’s do it for the boys. Thank you and good bye Calabar. All the best and may more better opportunities open up for you. Erokamano and all the best. Good luck David though your last days at gor showed somewhat, lack of commitment to the team. Leo toka hapo,you do not give and then you take away. Thank you Calabar, with more commitment you will soon land on even better deals. This was a good player for Gor and will instantly be a hit in Zesco. Reason being his simple dedication to the game, something comparable to the Ugandans. They also are a breed whose commitment to the game is visible and here I have Walusimbi and Kizito in mind. Kenyan players still have alot to learn. Merely pulling up your socks above the knees or not combing your hair does not turn you into a gem. ,After capturing Gor Mahia defender David Owino, another Zambian club has set its eyes on roping in left back Godfrey Walusimbi. Walusimbi joined Gor Mahia in January 2014 and was instrumental in the club’s fight to retain the Kenyan Premier League (KPL) title but he looks set to leave if reports in the Zambian media were anything to go by. Power Dynamos Coach admits ” Yes we have been tracking Walusimbi for a while and we need a good left back, we are tracking a total of 3 left backs and two are local and we will choose the best, we are also impressed with Walusimbi because he can also play on the left wing ” he is quoted to have said to the Zambian daily. If we can get 2 million from walusimbis sale,then no problem. Why 2 million,I think more than that, say 5 million and why not? Weren’t there 2 more years on the contract and the quality of the player? All these should count in case of such an eventuality. The big question however is where is the replacement in case he goes? Are we really serious about our participation in the CAF Champions tournament.Calabar should have been the last big name leaving this late. President Uhuru Kenyatta has honoured his pledge by donating Sh2 million he promised towards Kenyan Premier League champions Gor Mahia. A source within the club has exclusively revealed to Goal that the money was received by K’Ogalo chairman Ambrose Rachier during a private ceremony held at State House on Tuesday. “The President in keeping with his word gave Gor Mahia Sh2million and promised that he is looking into getting them a sponsor soon,” revealed our source. President Kenyatta made the pledge when Gor Mahia paid him a courtesy call at State House days after winning a record 14th Kenyan Premier League title last year. Gor Mahia will represent Kenya at African Champions League and have been drawn to face Madagascar champions CNAPS in preliminary rounds. Gor Mahia will play first leg match at home between February 13 and 15 and face their opponents – three time Madagascar champions – a fortnight later in return leg fixture away. K’Ogalo defeated Gabon’s US Bitam in preliminary phase of the competition last year, before suffering an 8-2 aggregate loss to Tunisia’s Esperance in the first round. DAVID I WISH TO ADD MY VOICE TO THE APPLAUSE AND CONGRATULATIONS. INDEED NAKURU HAS BEEN HOME OF GREAT FOOTBALL TALENT: PETER OUMA, ENOS BONDO, OGOLA KADIR, ODAWA, MIDIANG’A ORIRE, SOSPETER OTIN,ANGANA,ABDULRAMAN BARAZA, JORAM ROY, SAMMY TAABU, DAVID MURAYA,ANYANGU,DAVID SAWE and many others. @ Dinga I totally agree with you on commitment of any good player. The characters you have mentioned indeed displayed total commitment while playing. And this added value to their discipline. One should not play for the crowd but for the club. This is what will attract people to you.Dressing like a Football player does not make one a player.The philosophy of simplicity and being oneself can open the flood gates to good sportsmanship.It is good to have role models to emulate as a player. But never never assume that you are that good player. You are yourself. Your touches and runs are yours and not the other. Then you will play longer and bring out the best of yourself. Maradona, Messi, Ronaldo, Allan Thigo, Owino kempef etc will always remain themselves. NOT TO FORGET MIKE BARAZA AND HIS DAD SAMMY NYONGESA!! How many members of the GM’s EC are also doubling up as players’ agents? George Bwana has “Situmbekoed” Gor Mahia again. I love football, i love kenyan footballers as well coz i do play the game too but to be realistic no player has ever touched ma heart this much! for real calabar, we’ll miss u big. All ma prayers to u is that u excell n shine much brighter wherever u’ll hv to go! truly u a ma role model n i pray tht one day the almighty God will shine the same star upon me so tht i pass the legacy to the other upcoming players. On the behalf of your all other fans, we will miss u terribly! May God be your protecter n shower you with his blessings. Amen.